Vodafone is one of the biggest companies in the UK, but its activities have still been given a surprisingly large amount of coverage in recent months. 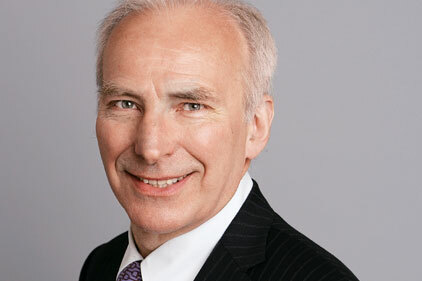 There have been interviews with its newish chief executive, Vittorio Colao; stories devoted to its corporate governance resting in the safe and secure hands of deputy chairman and senior non-executive director John Buchanan and pieces on how advanced the search is for a chairman to replace Sir John Bond. There has been an abundance of soft coverage designed to reassure investors this is a well-run company. But others could be forgiven for having doubts. The early part of Bond's time was marked by boardroom intrigue that erupted into a nasty public power struggle, as the old guard on the board challenged the then chief executive Arun Sarin, who came out on top. The firm, having built its global presence through a series of expensive acquisitions, then seemed to not know what to do with them or how to weld them into one worldwide business. The consequence of these deals, according to one analyst, is that at home it took its eye of the ball and has been outmanoeuvred by O2. Meanwhile, abroad it has written off the better part of £50bn to reflect the falling value of the assets it bought. So what is going on? There have been signs of unrest among shareholders, so Colao has decided it is time to clean up the empire and try to put some sense into it by selling off a lot of what his predecessors bought. But this might be seen as a panicky board giving in to the demands of activist shareholders. So the PR campaign seems designed to create the impression that the board is competent and well run, has reached decisions after rational analysis and Colao is in total control of events. The key is what happens in the US. It is OK to sell out of Japan and China, take a massive write-down in India and even chuck in the towel in France. But we have to take the board's word for it that the company should not be bounced into selling out of the US. To accept that, we have first to be persuaded that the board is no longer dysfunctional. - Anthony Hilton is City commentator on London's Evening Standard.